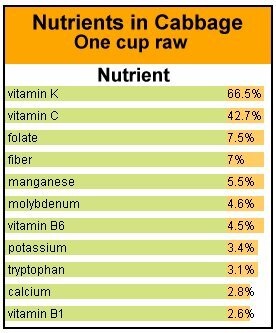 With its short growing season and the nutrition packed into its green leaves, cabbage could feed the world. Personally, I like it for the taste. That's why I love Oktoberfest and St. Patrick's Day. Both celebrations mean the superfood, cabbage. Oktoberfest is a glorification of German music, beer, smoked sausages, and cabbage. I like the polka and accordions, but usually once a year is enough. Peg and her one-year-older sister Pat graduated from high school in Germany and in fact, their youngest sister was born in Germany. They always look forward to Oktoberfest, with red cabbage and Veiner Schnitzel. There were food carts in the streets, one even in Landstuhl, near Ramstein AFB, where they'd buy a weisswurst on a firm, chewy bun with German mustard. We don't drink as much beer as we used to or eat as much smoked meat as we used to, but cabbage, now there is something I could eat all year. During Oktoberfest I can generally count on having a good German dinner, complete with sauerkraut and red cabbage, which has the most vitamin C. I love weisswurst (the white sausage, Peg and Pat's favorite, too) with sauerkraut with lots of bold mustard, but almost any bratwurst will please. For me sauerkraut means boiled potatoes with caraway seeds mixed in with the kraut as well. The Natural News extols the virtues of sauerkraut, "Sauerkraut provides a high density source of a wide range of beneficial live bacteria which assist in the digestive process. Consuming a serving of sauerkraut can give your body as much of a health boost as many of the expensive probiotic drinks and supplements sold in stores. However, most commercially sold sauerkrauts have lost most of their beneficial bacterial organisms. 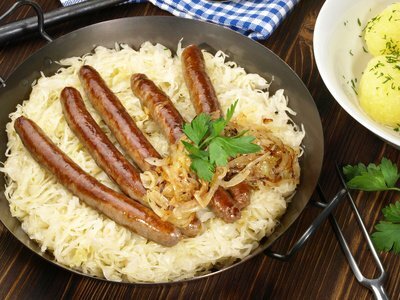 To gain the most benefits from sauerkraut, you may want to purchase it freshly made, or learn how to make your own." St. Patrick's Day usually finds us at the home of our friends Donn and Debbie. Donn cooks several corned beef briskets and lots of lightly boiled cabbage. 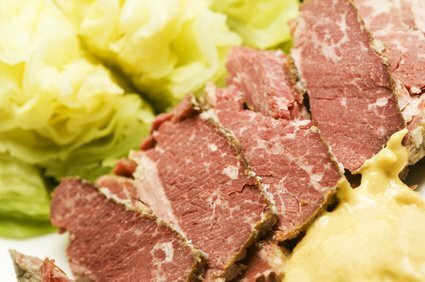 The combination of corned beef and cabbage goes well beyond the shores of Ireland. Supposedly the Emperor Claudius had his senate vote that there was nothing better than corned beef and cabbage. There is a lot to be said for that positive vote. Although, before dinner, the amount of corned beef and cabbage in Donn's kitchen looks like it would feed an army, soon friends and relatives have reduced the supplies to almost nil. If we're lucky we might get a little baggie of corned beef but I don't think there's ever left-over cabbage. I love left-over corned beef sandwiches. 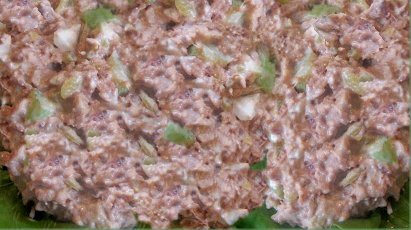 If there isn't much to share, I'll opt for corned beef salad with chopped pickles and onions, but putting chunks of corned beef with some pungent mustard between two pieces of toasted whole grain bread, like that baked by Roman Meal, is my idea of heaven. 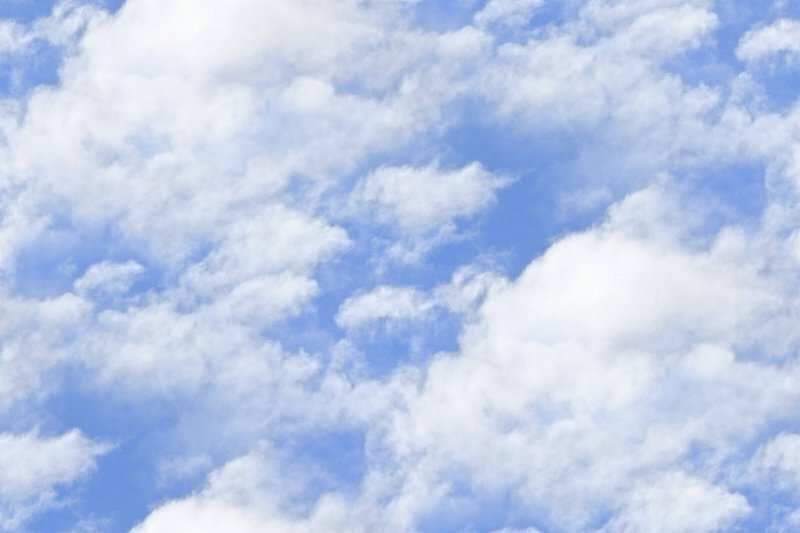 One beautiful spring day, while I was in college I threw my lunch bag in the back of my old Chrysler and headed to school (an hour drive). When I got there it was time for lunch. The lunch bag had landed by the back window. The sun had warmed up my sandwich perfectly. After all these years, and believe me there are a few, I can still taste it. Even though steaming is the best way to take full advantage of the cholesterol-lowering benefits of cabbage, this cruciferous vegetable shines lightly boiled in soups. When making a great vegetable stew or pork stew, one of the main ingredients has to be cabbage. Peg doesn't like cabbage quite as much as I do, but still she knows a good thing when she sees it. 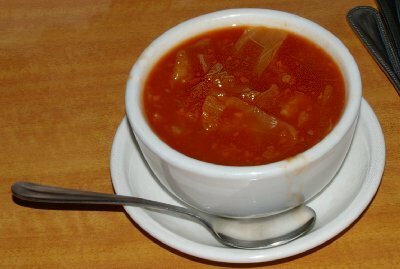 At Goldberg's Deli in Bellevue, she surprised me when she ordered their vegetable cabbage soup. With lots of tomato and onions, it was wonderful. It could take the chill off a frosty morn. The magic words for cabbage's health benefits is cruciferous and glucosinolates. The Linus Pauling Institute explains, "Like most other vegetables, cruciferous vegetables are good sources of a variety of nutrients and phytochemicals that may work synergistically to help prevent cancer. 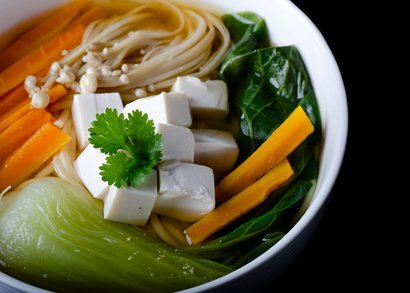 One challenge in studying the relationships between cruciferous vegetable intake and cancer risk in humans is separating the benefits of diets that are generally rich in vegetables from those that are specifically rich in cruciferous vegetables. One characteristic that sets cruciferous vegetables apart from other vegetables is their high glucosinolate content. Glucosinolate hydrolysis products could help prevent cancer by enhancing the elimination of carcinogens before they can damage DNA, or by altering cell-signaling pathways in ways that help prevent normal cells from being transformed into cancerous cells. Some glucosinolate hydrolysis products may alter the metabolism or activity of hormones like estrogen in ways that inhibit the development of hormone-sensitive cancers." The website for the World's Healthiest Foods mentions that cabbage has sinigrin. "Sinigrin is one of the cabbage glucosinolates that has received special attention in cancer prevention research. The sinigrin in cabbage can be converted into allyl-isothiocyanate, or AITC. This isothiocyanate compound has shown unique cancer preventive properties with respect to bladder cancer, colon cancer, and prostate cancer." Long boiling reduces the cancer fighting ability of cabbage (and the taste and texture, a personal viewpoint) and raw cabbage isn't as good for you as steamed cabbage, but that doesn't lessen cabbage's ability to raise nutrition levels and help with fighting obesity. I love coleslaw, which generally features both green and red cabbage. Most restaurants serve it with fish and chips and it's the main condiment with pulled pork sandwiches. It's even served as a side dish with KFC (Kentucky Fried Chicken) orders. KFC coleslaw is really sweet, but I could eat a whole cup. I've even stopped in at my local outlet and purchased the side only. Peg likes a vinaigrette dressing instead of a sugary mayonnaise dressing. Cabbage has a growing season of only three months. Although experts believe that cabbage began to be cultivated in Europe over three thousand years ago, almost half of the cabbage grown in the world today is in China. The Chinese cabbage bok choy is excellent in stir-fry. It's easy to sneak cabbage into diets, raw, steamed, baked, boiled, or microwaved. The health benefits transcend cooking methods. It's one of the most inexpensive vegetables and one of the most nutrient rich. I could eat it every day and still hardly wait for Oktoberfest and St. Patrick's Day. 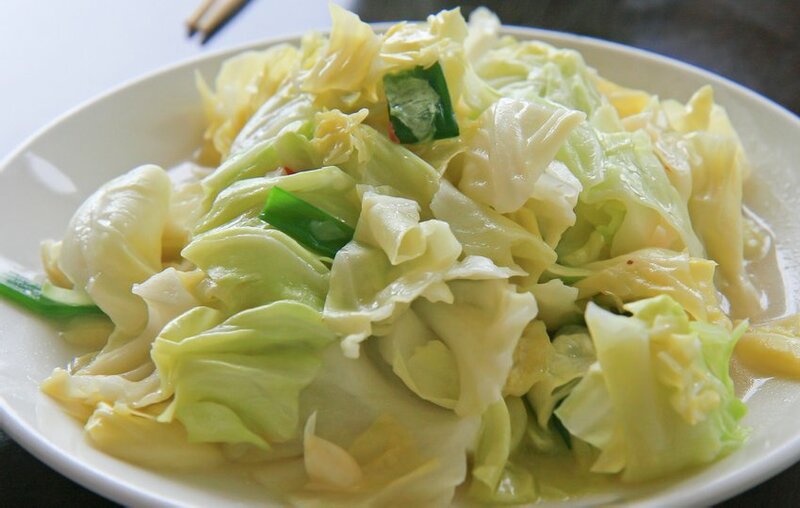 Nutritional Cabbage Superfood, cabbage nutrition, cabbage nutrients, sauerkraut nutrition, cabbage bok choy sauerkraut nutritional value, Healthy Aging Healthy Living Article.